How to manage tasks from the board view? 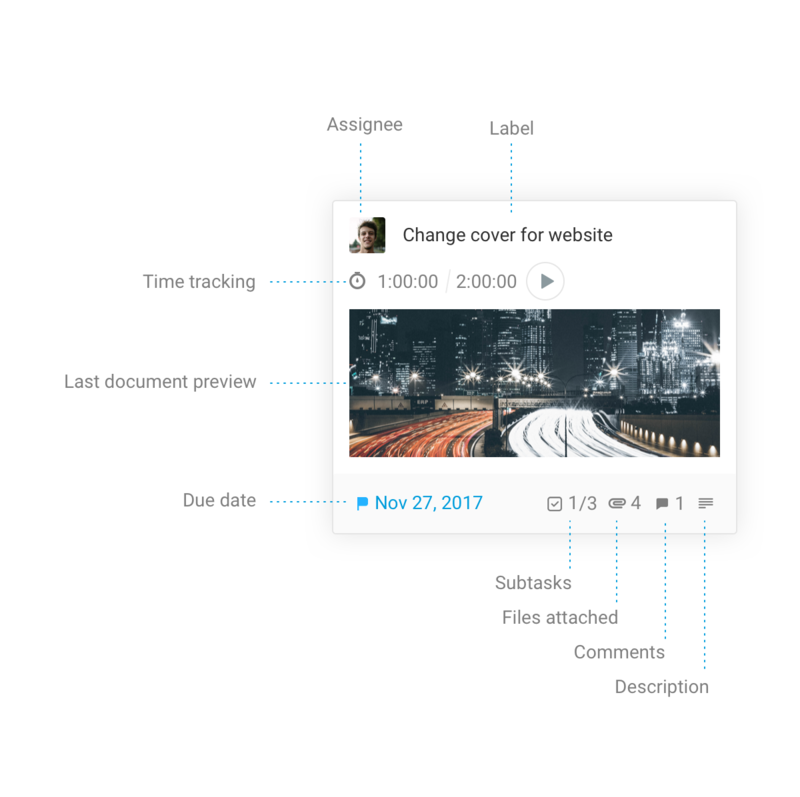 Learn what you can do with tasks in the board view. You can create tasks in any column by clicking into the “Create a task” field under a column label and start typing. Press enter to create the task. In the subject view, the newly created task will be unassigned by default. You can then click on the empty avatar to assign the task to a team member, yourself included. Click on the task to open the full task card. From there you can add a due date, add attachments, add followers, comments and so on. The due dates will show in the board view, as well as the preview of the last image added to the task. If you have Time Tracking enabled you will be able to start and stop the timer, add time spent entries and edit the estimated time from the board view. Also displayed on the board are the number of subtasks, attachments, comments and the presence of a task description. You can mark the tasks as completed or canceled from the three dots menu “...” that appears when hover over a task in the board view.